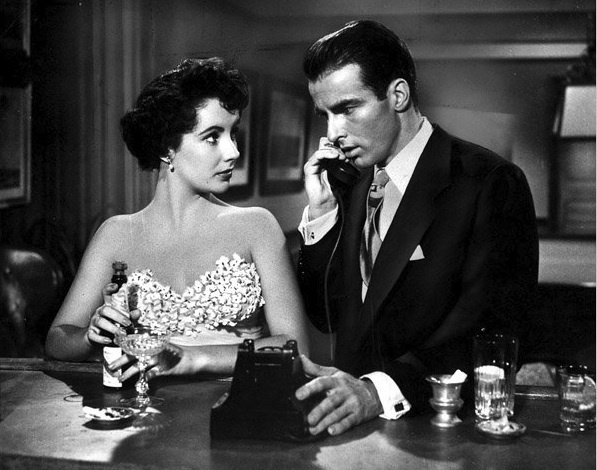 We expect to be invited to disapprove of George Eastman (Montgomery Clift), to revel in the sight of him walking the green mile for the premeditated drowning of his poor pregnant girlfriend, whether he finally intended it or not, satisfied to see justice done as he takes his seat on the electric chair for the first and final time. This breezy social climber, this cheery beneficiary of nepotism, this abandoner of the needy... How else could we feel about such a cad other than despise him for a callous opportunist and murderer? The fact that we don't, the fact that we feel anything but, is the genius of George Stevens' take on Theodore Dreiser's An America Tragedy (1925) and of Clift's complex performance in particular. Instead, we wallow in George's tantalising dilemma, for Alice Tripps (Shelley Winters) and her doom-bearing bump are all that stand in the way of his glorious ascent, that final leap away from the memories of an impoverished childhood roaming the mean streets of Chicago in pursuit of a marching missionary mother. With that squalid little factory girl out of the way, nothing could stop George rising up the family bathing suit business and entering the elite upper echelons of society in the arms of Angela Vickers (Elizabeth Taylor). Eastman's entrapment, an all-too-plausible snare worthy of Zola or James M. Cain, turns this confused young man into a fumbling Tom Ripley and we love him for even considering the deed. And yet, we also know that he must be destroyed and pine for its consummation. But not on account of his crime. No, no. Rather, George must burn because he and Angela are simply too beautiful together to be allowed to continue. The radiance of these two, as perfectly matched as twins, is almost intolerable, too much for the sickly human constitution to bear. Seeing this pair torn apart and denied is perhaps the most exquisitely painful pleasure of all.